A. Jaffe Diamond Wedding Ring, 1.05 CT TW. 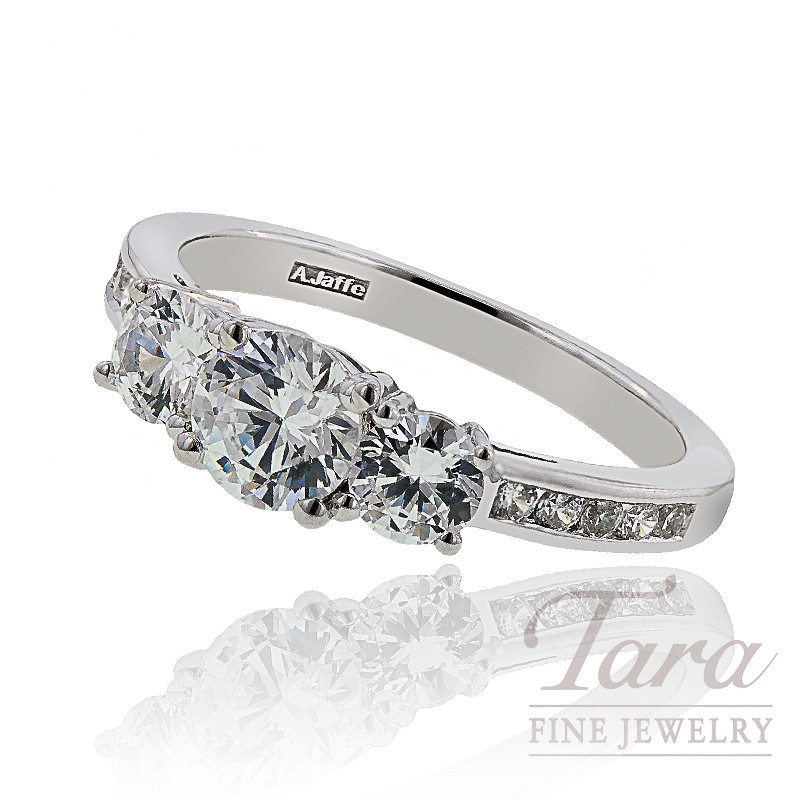 A. Jaffe takes this classic 3 stone ring design and beautifully sets it with the most sensational diamonds and a diamond inlaid band for a gorgeous A. Jaffe ring shimmering in 1.05tdw of diamond radiance. Wonderfully crafted, this A. Jaffe ring is available in your choice of 14K or 18K white or yellow gold, or platinum! Call, email, or simply click reserve to receive details on pricing and availability. Tara Fine Jewelry Company offers the A. Jaffe Collection and the most distinguished names in jewelry design as well as an impressive selection of luxury Swiss watches. Whether you are searching for the perfect ring to "pop the question" or looking for a new Rolex, Breitling or Omega timepiece, Tara Fine Jewelry Company is dedicated to offering the finest in selection, service and quality. A. Jaffe Diamond Wedding Band, .90 CT TW.